It’s not like anyone told us life would be fair, but the strongest evidence of the universe playing favorites can be found in Hailey Bieber’s complexion, which isn’t just clear and healthy — it’s positively radiant. And it makes sense, given that she's still in the honeymoon phase from her whirlwind marriage to Justin Bieber last September. But when we sat down with Bieber in L.A. recently, we learned that the model and BareMinerals clean beauty ambassador actually deals with breakouts like the rest of us — specifically the kind brought on by birth control, which she just started a few months ago. Though the 22-year-old says she’ll gladly take the painful bumps over having a kid right now, she also still seems to be winning the luminous skin game. (Honestly, we couldn’t make out a single blemish.) She shares how she combats the painful bumps — which, ironically, includes a product for babies — plus her tricks for faking glowing skin, ahead. Your skin looks as good in person as it does in photos. How much of that is genetics versus a good skin-care routine? "For me, I do think a lot of it is genetics. Both of my parents have great skin; they look super young. I also think it’s how you take care of your skin. There are some girls that I know who sleep with their freaking makeup on and their skin is clear. That is not a thing for me. I’m big on keeping my skin clean and drinking a lot of water. It’s also diet — if I go a couple of days eating cheeseburgers, my skin is not going to look great." Photo: Courtesy of Bare Minerals. What are some of the things that mess with your skin? "I think sometimes, like with hormones, you can’t control it. Over the last few months, I’ve been on birth control, which I’ve never done before, and that threw off my hormones for sure and made my skin go off. I was getting little tiny things here and there, and they just hurt. It was like, how do these hurt so bad? I talked about it with my doctor and came to find it’s because the hormones from the birth control mess with your natural balance. You just have to be patient, let it happen, and let it even out. For me, I’d take that over having a baby right now, so..."
What's your go-to remedy for breakouts? "I use any normal spot cream — something that has a good acne fighter, like benzoyl peroxide. The problem with that, though, is it burns my skin a little bit and my skin is so sensitive and it gets dry so easily. I have found that diaper rash cream is a great thing for bringing down redness and healing. If you think about what it’s actually used for, which is red bumpy skin, it’s essentially the same thing. Diaper rash cream is great for under-eye bags, too." Skin care aside, what’s the secret recipe to your glowy complexion? 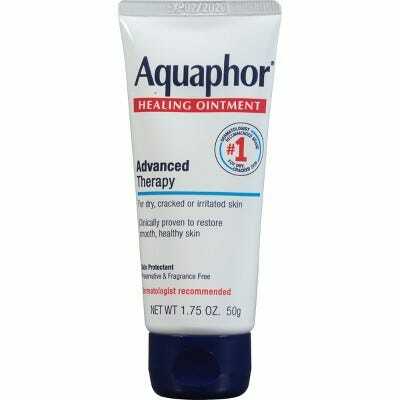 "In a polar vortex, I’ll put Aquaphor on my face at night. I get dry spots and something thick like that works for me. Normally, I’ll use an oil with a moisturizer at night. 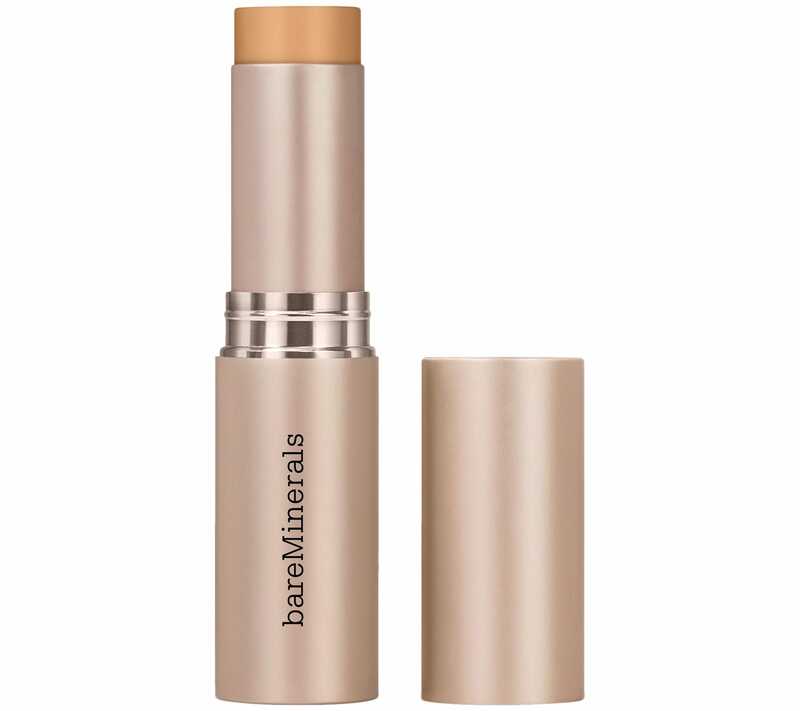 Glow goes hand in hand with hydration and that why I think the new BareMinerals Complexion Rescue Hydrating Foundation Stick Broad Spectrum SPF 25 is so good. It’s hydrating and water based, so it’s not oily or thick. I’m also big on highlighter. 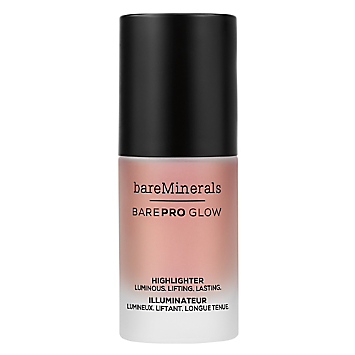 I go for a liquid highlighter, like the BareMinerals BarePro Glow Highlighter, more than a powder. Some people like that chromatic highlight and that's great. Everybody has to find what they like on themselves."